"Exciting war game with multi-player option"
ArmA 2 might be an alternative for those of you who have played Battlefield 2, Call of Duty or Medal of Honor at a friend's place and like it, but you just don't want pay the price these games cost. We are talking about a war game with highly realistic and stunning graphical representations. You're the soldier in one of the competing armies and you play a decisive role in winning the battles. Your qualities are indispensable for victory, which is why you and your team will be sent out on crucial missions, and as such will have to cross more than 225 square kilometres. 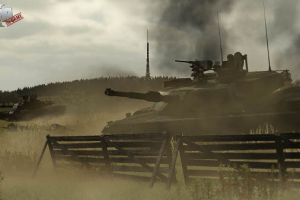 ArmA 2 lets you choose if you fight alongside the Americans or the Russians, and you will have access to a wide variety of weapons, like pistols and missile launchers, as well as transportation vehicles, like jump jets, helicopters or tanks, to choose from.